PSI 2017, which will take place from Tuesday, 10 January, to Thursday, 12 January, is already emerging as a very promising event. It’s nearly sold out, even though it’s bigger both in terms of space and exhibitors. We expanded special areas, introduced a new communication tool that makes everyday trade show activities easier and already registered several hundred customers for the first Industry Customer Day. The widening of the target audience through the inclusion of industry customers is an opportunity for the industry, and everyone’s been jumping at the chance. 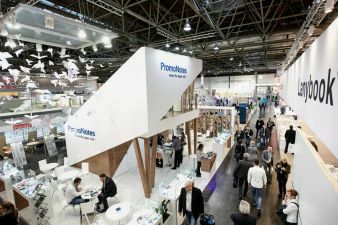 Not just industry customers themselves – distributors as well have positively responded to the new Industry Customer Day on the last day of the show. All the meeting counters located outside of Hall 9, which are intended to provide a place for distributors to meet their customers, have already sold out completely. And that despite the fact that we’ve added even more counters than originally planned. Additional counters will now be available on the Gallery near the Exhibition Centre’s North Entrance. A large number of invitation codes have already been redeemed since the opening of the ticket shop for industry customers in early September. In the first week alone, more than 200 registrations came in. At the show, industry customers will get a comprehensive overview of the diversity of promotional products along with a chance to participate in the supporting programme, which has been specially tailored to the interests of industry customers on Thursday, the last day of the trade show. Topics such as “can-dos” for promotional products will be addressed. 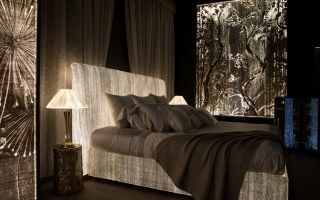 Textiles have been the focus topic of the trade show for two years now. More than 40 per cent of visitors at the last event said they’re particular interested in textiles – reason enough to make the already sold out Textile Area in Hall 10 even bigger! This is where exhibitors will present the current state of the art along with an outlook on the future of promotional textiles. The entire textile industry value chain from classic suppliers to wholesalers to finishers will be covered in a single hall. Integrated again in the Textile Area will be the Textile Finishing Area and the Catwalk with professional models presenting participating exhibitors’ promotional textiles on the runway. 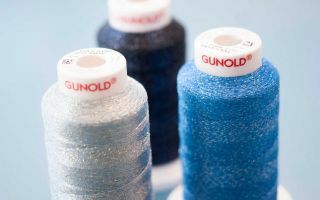 The supporting programme will have just as much to offer for textiles pros. For example, visitors can turn to Stefan Roller-Aßfalg from the Academy for Textile Finishing for information on textile certifications and other topics. The PSI Show wouldn’t be what it is without creative and useful innovations: the entire process chain from idea to marketable product will be on display at the expanded Newcomer Area in Halls 11 and 12. This area was also enlarged, with the result that more space is now set aside for inventors, first- and second-time exhibitors and young companies bringing fresh ideas to the market. Plus, PSI partners such as the PSI Design Forum, manugoo, the Innovation Forum, representatives of iENA, the DPMA (the German Patent and Trade Mark Office), German Customs and Aktion Plagiarius will be on hand at the Innovation Competency Centre in Hall 12 to share information on topics such as promotional products design, product safety, import regulations, plagiarism and many more. The exclusive product premieres launched by the participants in the PSI FIRST campaign will be showcased at the PSI Institute – Competence Area in Hall 9. For the fourth time, 50 exhibitors will have the opportunity to present their new products to an international industry audience. Each debuting product will be automatically nominated for the People’s Choice Award. Then the choice will be up to visitors: they’ll decide who’ll win the award. At the conclusion of the show, all 50 newly launched products will be added to the Product Finder 3.0 as specially marked PSI FIRST products. For the first time, PSI in 2017 is providing exhibitors with a sophisticated tool aimed at one thing above all: generating business. 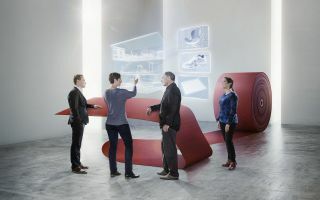 Provided in collaboration with dMAS GmbH, the digital tool enables instantaneous connections between suppliers, distributors and industry customers. The dMAS Notes scanning app, for example, can be used to easily collect contact information and conveniently export it into exhibitor CRM (Customer Relationship Management) systems. In addition, as soon as a PSI trade show badge is scanned, the automatic visitor recognition feature immediately indicates whether stand visitors are industry customers and, if so, which distributor invited them – without having to hand over industry customers’ complete contact information to exhibitors. That way, exhibitors can pass on any requests directly to the respective distributor. 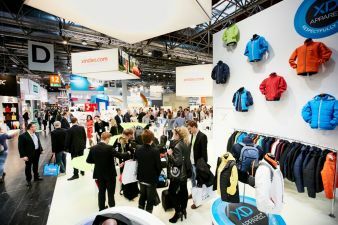 At PSI, the Leading European Trade Show of the Promotional Products Industry, promotional products professionals gain an overview of the trends and innovations of the industry. In addition, special exhibits and show areas are dedicated to an in-depth look at promotional labelling, printing and finishing technologies, inventions and innovations, and much more. At PSI 2016, 932 exhibitors from 38 countries presented their companies to 16,810 visitors. Following a change in show days, PSI 2017 will take place in Düsseldorf from Tuesday, 10 January, to Thursday, 12 January.